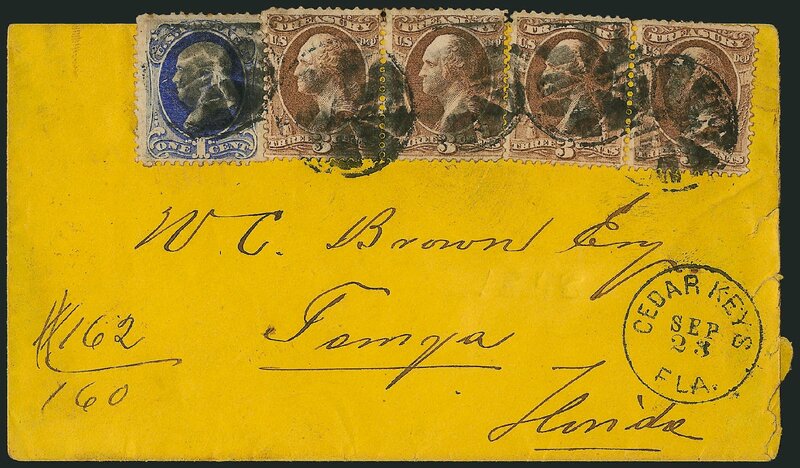 U.S.; Officials, Treasury Dept., 1873, 3¢, 7¢ on Cover, #O74, O76, tied to U.S. Internal Revenue cover, from West Wilton, ME to North Turner Bridge, ME, Fine to Very Fine. Scott $750+. Estimate $250-300. 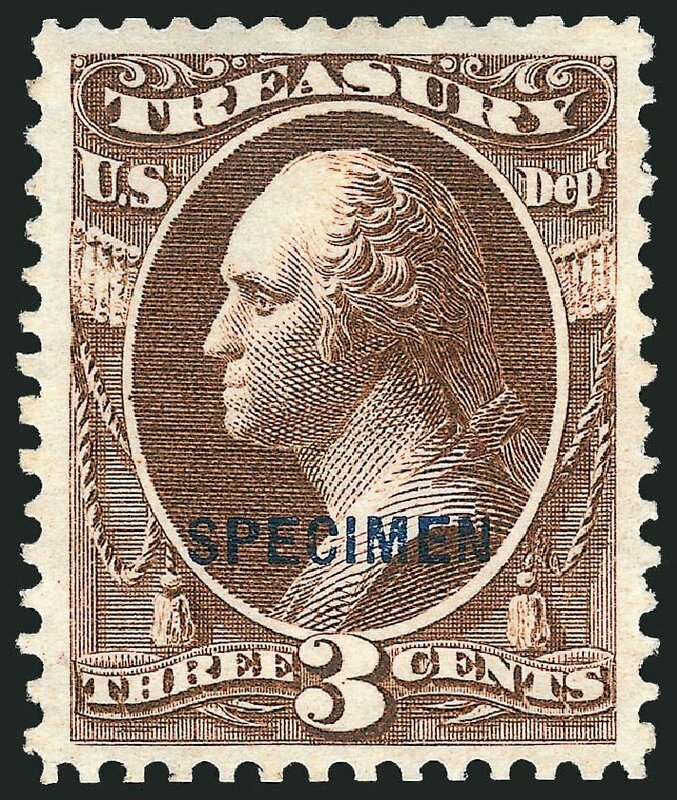 3c Treasury, Specimen Ovpt. (Scott O74S). Without gum as issued, rich color on bright paper, gorgeous centering EXTREMELY FINE. 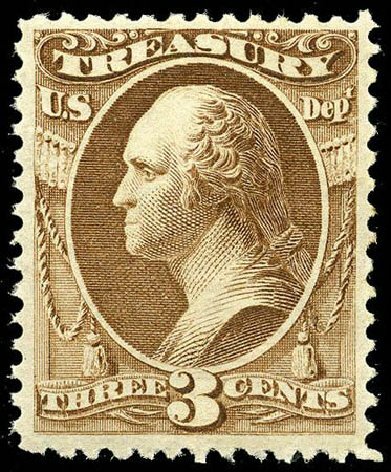 A MAGNIFICENT EXAMPLE OF THE 3-CENT TREASURY DEPARTMENT SPECIAL PRINTING. ALMOST CERTAINLY THE FINEST EXTANT. Only 84 sold. 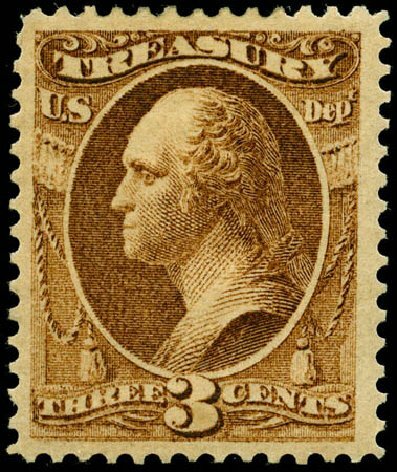 Treasury Dept., 1873, 3¢ brown (O74), very well centered with exceptionally large balanced margins. Original gum. Fresh and Extremely Fine. Scott value $105 Expertization: 2005 P.F. Certificate. 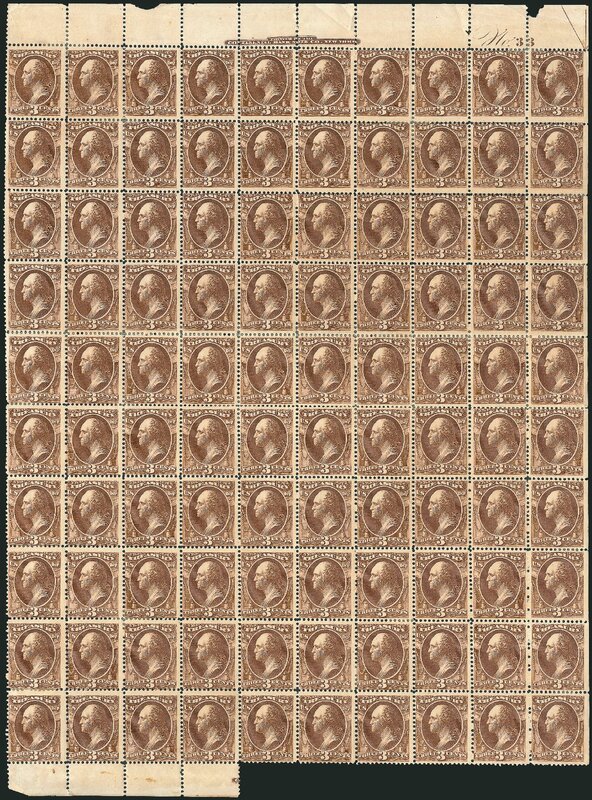 Treasury Dept., 1873, 3¢ brown (O74), virtually perfectly centered with wide margins, rich color and bright paper, original gum (never hinged but with light adhesions), fresh and Superb. SMQ price $480. Scott $105 Expertization: 2004 P.F. Certificate graded XF-Sup 95. 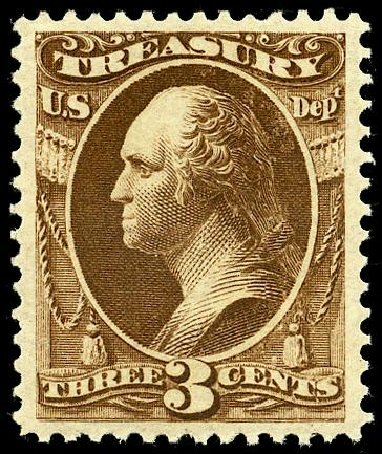 Treasury Dept., 1873, 3¢ brown (O74), well centered, rich color and detailed impression. Original gum, never hinged. Very Fine. 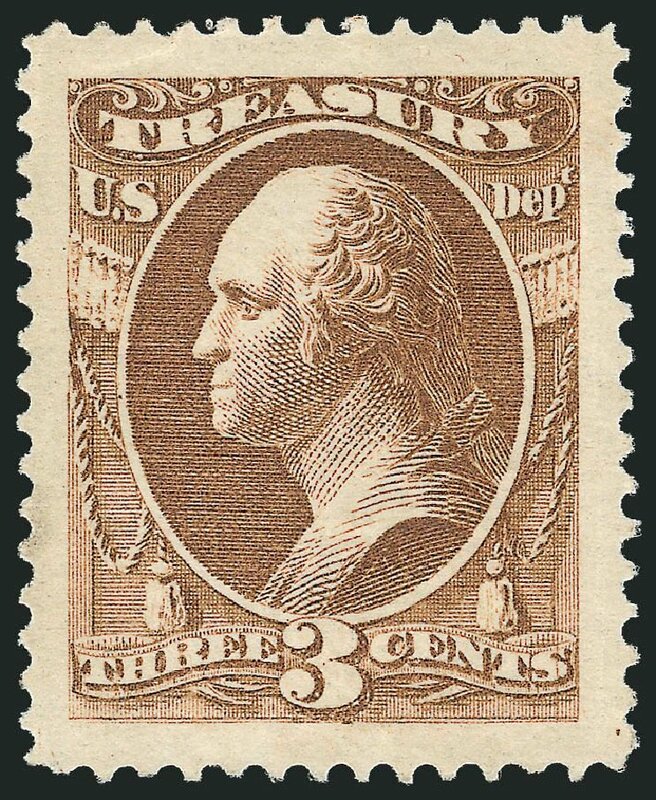 Scott price $230 Expertization: photocopy of 2005 P.F. Certificate for block of four.